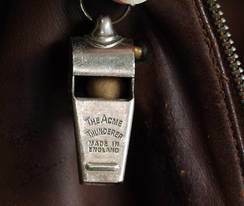 The ACME Thunderer Whistles, in both small and large versions, were used by USAAF, USAAC and other allied Aircrew's during WW2. You will find some of the history and details of its use detailed below. Feel free to contact us if you have a story to add or want to point out any amendments. 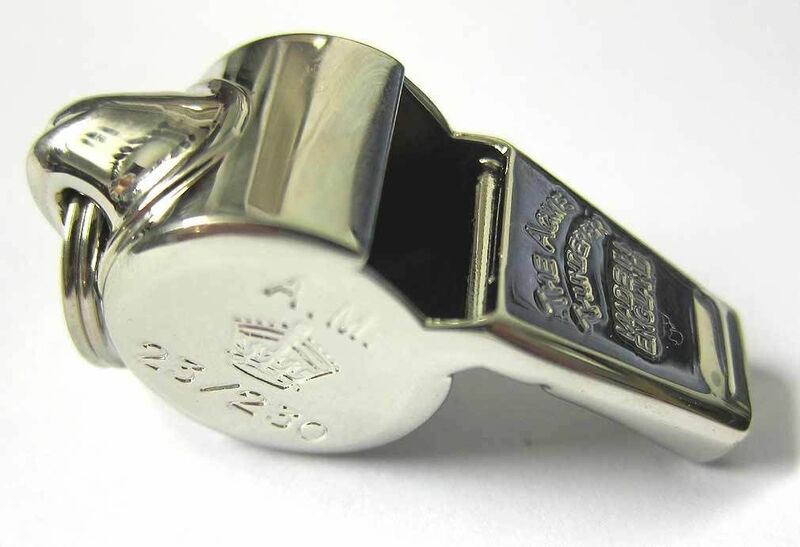 The small version (aircrew version), of the ACME Thunderer was first thought to have been produced around 1939 to 1940 - there are no records, that we are aware of, that can give us a specific date of manufacture or issue. Jacket worn by Ray Parker from Ohio, SSgt in the 576th Bomb Squadron, 392nd Bomb Group. Ray, front row second from left. His whistle can be clearly seen. Army Air Force Pilots Court-Martialed for Offending the Soviet Union during World War II By Fred L. Borch. Whisner was a flying ace of the United States Army Air Corps in World War II, and later the United States Air Force in the Korean War. With the unit's training completed, the 352nd Fighter Group boarded the troopship RMS Queen Elizabeth in June 1943. The group landed in the United Kingdom, and was assigned to RAF Bodney in Watton, Norfolk, under the operational control of the 67th Fighter Wing, VIII Fighter Command. Throughout the summer, Whisner and his fellow aviators were occupied in training flights over England, where they acclimated to flying in unfamiliar weather. This training was completed on 9 September 1943 and the group flew its first combat mission on that date. This is a very collectable and very rare item. 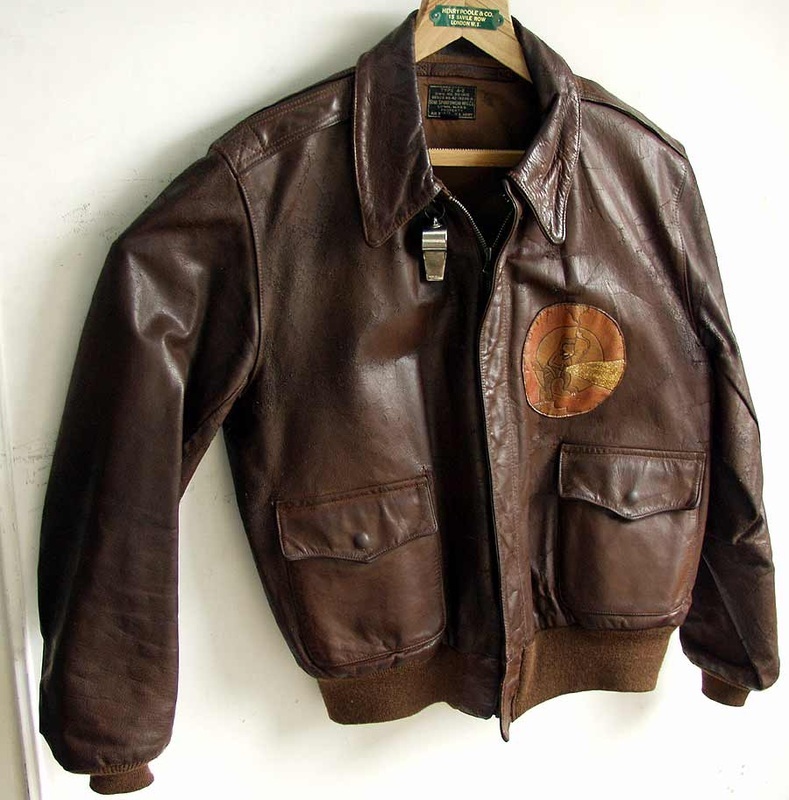 This is a jacket from a pilot of the 548th Night Fighter Squadron based in various pacific locations during WW2. The 548th NFS flew against the Japanese from Hickam Field, Hawaii, Kipapa Gulch, Hawaii, Det. Siapan, Siapan, Det. (Ground Echelon) Iwo Jima, Iwo Jima and Le Shima, Ryukyus. They had 5 enemy kills and flew P-61 and P-70 aircraft. The ACME Thunderer whistle is attached to the collar clip. 404 Coastal Fighter Squadron was formed on 15 April, 1941 at RAF Thorney Island in South-East England, flying Bristol Blenheims, Beaufighters and DeHavilland Mosquitoes until it was disbanded on 25 May, 1945. 404 Squadron received its Squadron Badge, which was originally signed by H.R.H. King George VI, at a victory parade in Wick, Scotland on 5 May, 1943 from Air Vice Marshall A. B. Ellwod, A.O.C. No. 18 Group, Coastal Command. Collar detail from WW2 Bronco A2 Jacket. With RAF 23/230 Type ACME whistle.